A powerful biography of Spain's great king, Juan Carlos, by the pre-eminent writer on 20th-century Spanish history. There are two central mysteries in the life of Juan Carlos, one personal, the other political.The first is the apparent serenity with which he accepted that his father had surrendered him, to all intents and purposes, into the safekeeping of the Franco regime. In any normal family, this would have been considered a kind of cruelty or, at the very least, baleful negligence. But a royal family can never be normal, and the decision to send the young Juan Carlos away from Spain was governed by a certain `superior' dynastic logic. The second mystery lies in how a prince raised in a family with the strictest authoritarian traditions, who was obliged to conform to the Francoist norms during his youth and educated to be a cornerstone of the plans for the reinforcement of the dictatorship, eventually sided so emphatically and courageously with democratic principles. 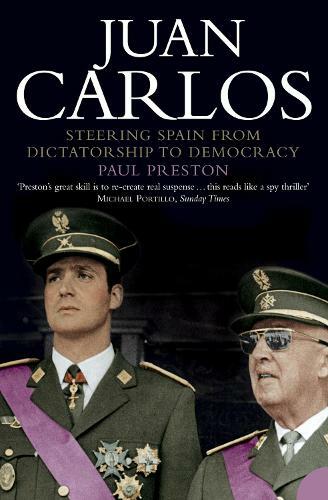 Paul Preston - perhaps the greatest living commentator on modern Spain - has set out to address these mysteries, and in so doing has written the definitive biography of King Juan Carlos. He tackles the king's turbulent relationship with his father, his cloistered education, his bravery in defending Spain's infant democracy after Franco's death and his immense hard work in consolidating parliamentary democracy in Spain. The resulting biography is both rigorous and riveting, its vibrant prose doing justice to its vibrant subject. It is a book fit for a king.